A rainy morning in Bristol lead us to walking around town dodging the rain clouds and a variety of cafes. 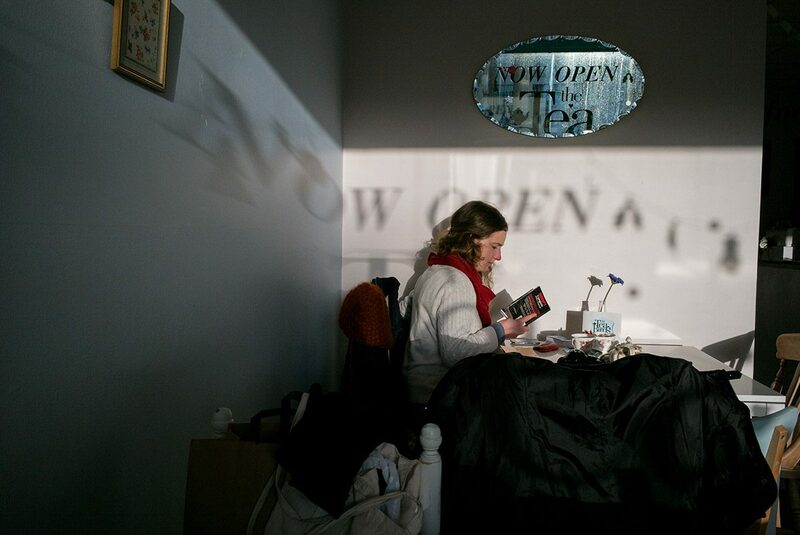 Late in the afternoon we ended up in a cafe with the most amazing light for about 5 minutes just before the sun went behind clouds and below the horizon I got two images of a young woman reading a book. talk about not noticing the book she was reading was a French guide to L’Anglais. I really like that in the image the reflections in the mirror are highly visible this is what attracted me to making an image in the first place. I can’t decide which image I prefer so I am posting both as each has its strengths and weaknesses.